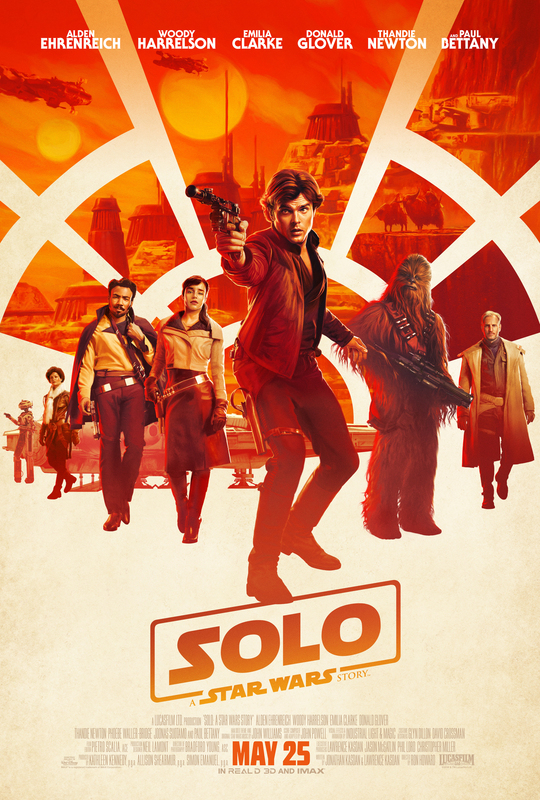 Solo is a movie focusing on the origins of Han Solo and how he ended up with the iconic starship the Millennium Falcon. Other notable Star Wars characters appear in Lando Calrissian and Chewbacca. 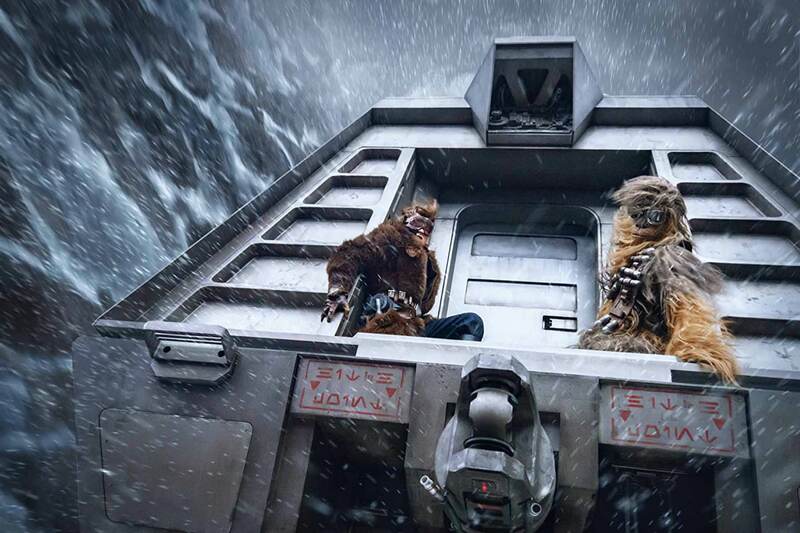 There is no hiding from the fact that Solo has done below expectations at the Box Office. It is headed toward being one of the lowest Star Wars films at the Box Office. The film generated the wrong kind of news with stories leaking about production problems and reshoots. The low Box Office is going to force Disney to open the hood on the Star Wars franchise and decide which direction they will go in the future. That said after watching the film I was pleasantly surprised. For one thing, Han Solo is cool. That is what he does, that is who he is. He is the guy that shoots first, smirks at danger and flies fast. He is cool. Star Wars needed to find the cool swagger factor again and here it is. This was a Star Wars film that was actually undersold and over delivered. The film has crisp action sequences and intriguing characters. In many ways Solo was a better film than the much more anticipated Last Jedi. The tale was less grandiose and less vital to the overall Star Wars Universe but also far more personal. There are no political hijinks here, its a simplified story of scoundrels, and an impossible mission for a rag tag group of wanton characters. One issue I thought I would have was seeing a replacement of Harrison Ford playing Han Solo. However, it was generally less distracting than I thought. This is definitely not Harrison's Solo its a different take and I found that absolutely ok. Solo here is a little younger, little more arrogant, seedier and yet his true heart of gold has moments to shine. I did not see any true Harrison Ford-issisms this is not an impressionists portrayal of the character. It is something new. There was also great consternation about the film's reshoots and similar to Rogue One I can't say they were noticed. If there were any problems with the film is that I think I would have liked more Lando. However, that does leave room for a Lando based film and one that I would fully support. Also the surprise cameo at the end opens many interesting doors that I generally find more interesting than anything I have seen come out of the new films. One of my favorite characters returns and the promise of an interesting battle looms large as I left the theater. I found it somewhat ironic and maybe sad that in parting the film that this was not the film going gangbusters at the box office. In many ways this seems the better way to go creatively for the franchise. The Last Jedi left me feeling somewhat dour on the franchise, while this one provided a shot of life of what these films can be. It was cool, it was fun, it was a ride and kept you guessing even though you knew where it was going. I will definitely cover where Disney goes from here. I personally hope they will pursue more contained films like Solo and less like Last Jedi's. Toylab Rating 8.5 out of 10. Marvel Matt gave Last Jedi a 6 out of 10. The Ron Howard-directed feature will premiere at the 2018 Cannes Film Festival on May 15th before making its worldwide debut on May 25th.